Our Alien figure with Secret-Base will be making a comeback this year! This time in a brand new edition! 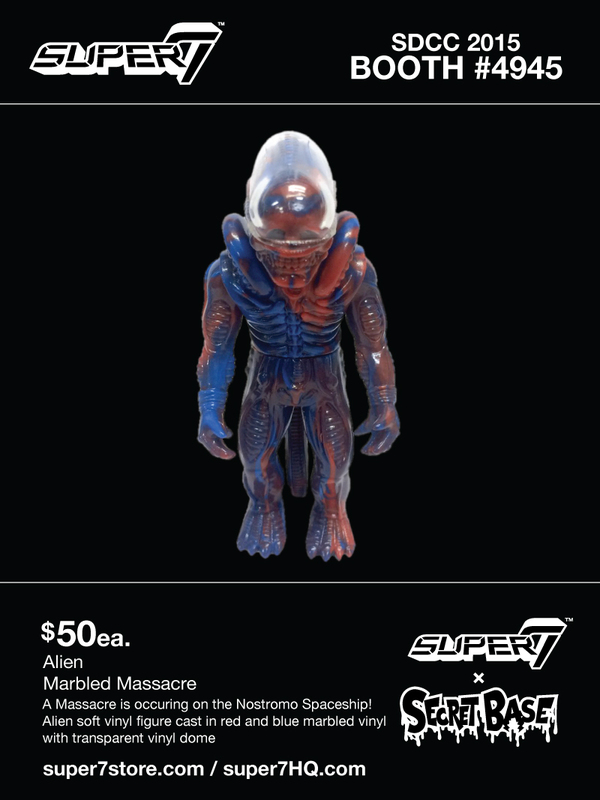 The Marbled Massacre features a a blue and red swirl vinyl with clear dome. They will be available exclusively at the Super7 Booth #4945 for $50 each. Last Wave of Skeletor’s Lair Pop-Up Releases!